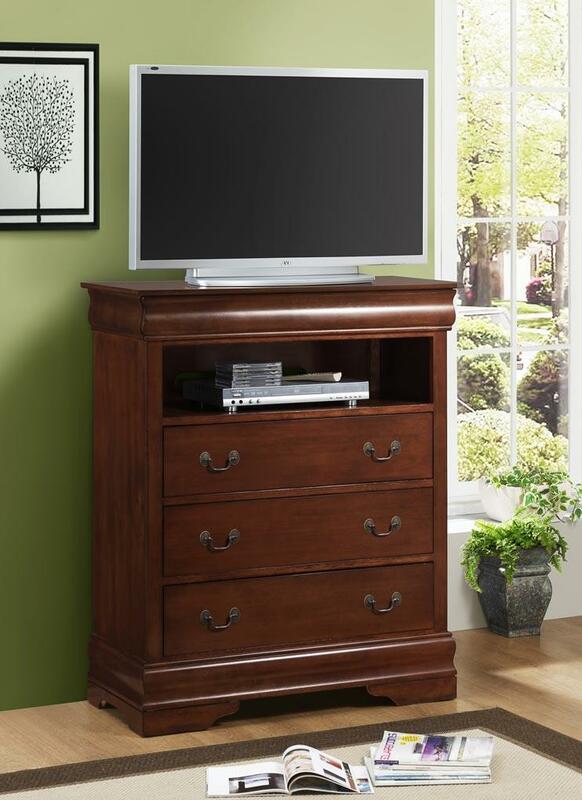 This traditional dark cherry brown finished media chest provides the perfect place for your TV and other media components. Three storage drawers featuring swinging bail handles provide extra storage for books, electronics, and any media accessories. 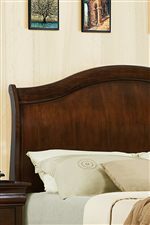 Displaying simple edge moldings and bracket feet, this piece is perfect for classy, traditional bedroom settings. The Big Louis Media Chest by Austin Group at Great American Home Store in the Memphis, TN, Southaven, MS area. Product availability may vary. Contact us for the most current availability on this product. Drawer / Shelf Construction French front and English dovetail back drawer construction. Top hidden drawers feature felt inlaid bottoms. Case Construction Constructed with Asian hardwood and Agatis veneers. Dust proofing on under bottom drawers only. Warranty All products sold by Austin Group will be warranted for one year from purchase date of the original retail customer. Renovate your master bedroom with the Big Louis collection. This expertly crafted bedroom group boasts traditional hints with simple silhouettes for a sophisticated transitional style. 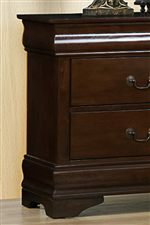 Each piece is covered in a dark cherry brown finish with bail handle hardware for a warm, welcoming look. A variety of storage pieces feature hidden top drawers complete with felt inlaid bottoms perfect for precious items. Finished with simple edge moulding, a gently arched headboard, and sturdy bracket feet, the Big Louis collection welcomes you into its relaxing haven. The Big Louis collection is a great option if you are looking for Transitional furniture in the Memphis, TN, Southaven, MS area.